Any player requesting a transfer must sign a form and submit it to their new club who, in turn, will sign and submit to the Cricket Switzerland League Chairman (original by post and/or electronic copy accepted). The final transfer authorisation will be provided by the league committee who will inform all parties involved. 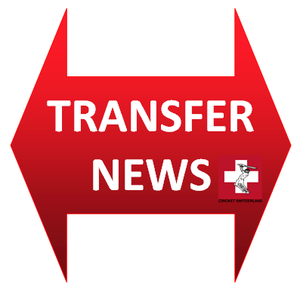 As in previous years, all transfers will appear on the Cricket Switzerland website. Please note that the deadline day for player transfer for 2018 season will be Saturday 31st March. The Player Transfer Request Form can now be downloaded from the Cricket Switzerland website.